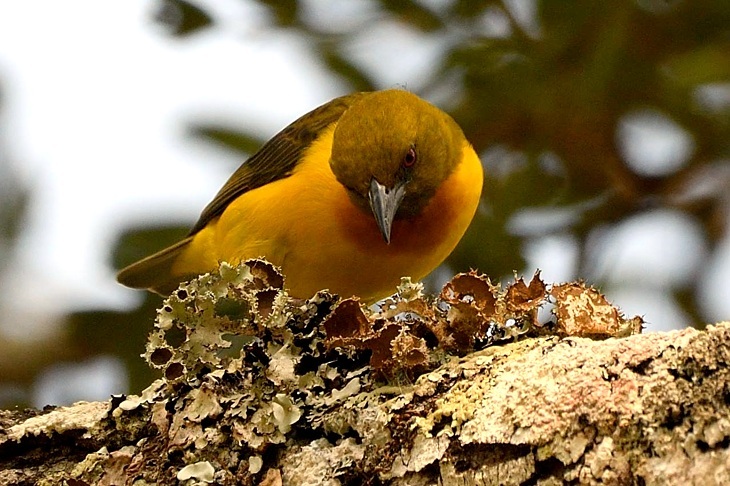 In Tanzania the range of the olive-headed weaver is restricted to miombo woodland around Songea. 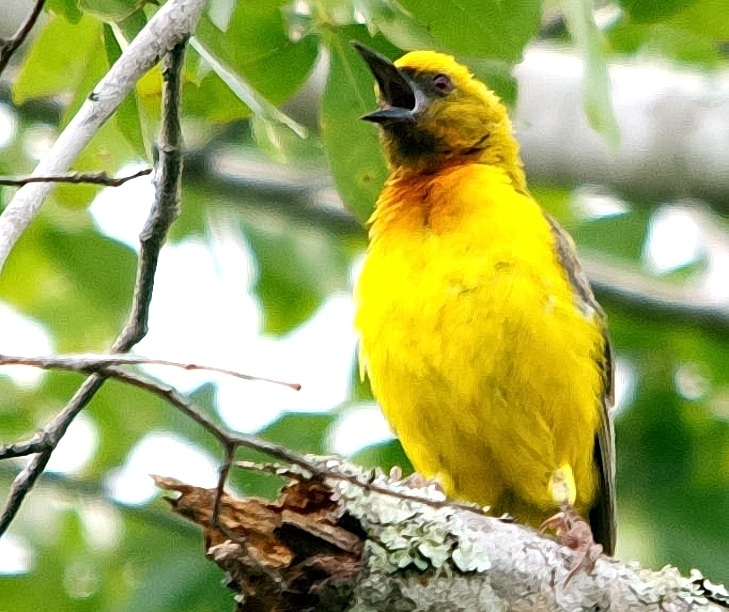 The female (upper photo) was photographed northeast of Songea (5-18), courtesy of Per Holmen. The male is courtesy of Brian Ralphs via Wikipedia Commons.